This past spring, a friend brought over a dip that our Bible Study Group devoured! It was a simple dip she made with cream cheese and pepper jam. I had never heard of pepper jam and searched for a recipe. I made a batch using the recipe that comes with SURE-JELL Fruit Pectin. I love the rich jewel tone color. Since it was my first batch I went light on the jalapeño peppers but next time I will increase the ratio closer to the 1-cup the recipe calls for. BRING boiling-water canner, half-full with water, to simmer. Wash jars and screw bands in hot soapy water; rinse with warm water. Pour boiling water over flat lids in saucepan off the heat. Let stand in hot water until ready to use. Drain well before filling. PLACE peppers in 6- or 8-qt. saucepot. Add vinegar. Stir in pectin. Add butter to reduce foaming. Bring mixture to full rolling boil (a boil that doesn’t stop bubbling when stirred) on high heat, stirring constantly. Stir in sugar. Return to full rolling boil and boil exactly 1 min., stirring constantly. Remove from heat. Skim off any foam with metal spoon. For hotter taste, leave in some of the jalapeno seeds. Protect hands with rubber gloves while preparing jalapeno peppers. To get exact level cup measures of dry ingredients, such as sugar, spoon sugar into dry metal or plastic measuring cup, then level by scraping excess sugar from top of cup with a straight-edged knife or metal spatula. JAM OR JELLY DIDN’T SET? Every once in a while, you may find that your jam does not set the way you expected. If your efforts resulted in a runny batch, try our Remake Directions to improve your finished jam. 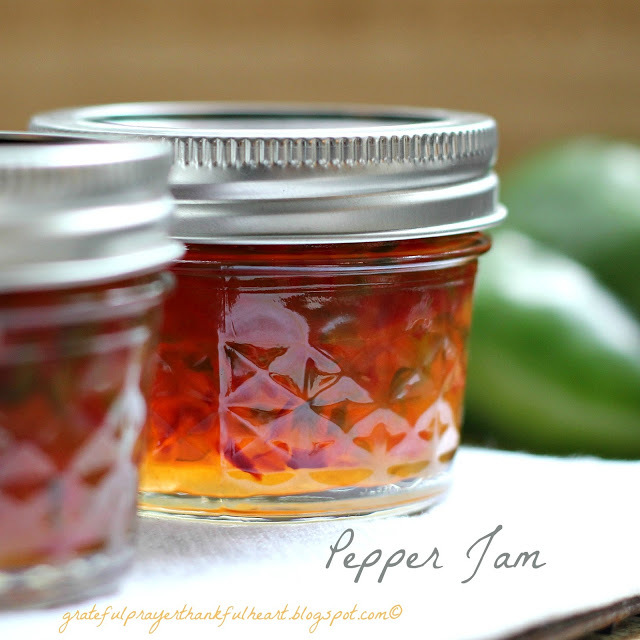 If your jam still doesn’t set, you can always use it as a glaze or syrup. nutritional info per serving Calories 50. Simply mix desired amount of pepper jam into softened cream cheese (I used Neufchâtel ) to preferred consistency. Spread on crackers or bagels. BRUSH 1 phyllo sheet with butter; top with second phyllo sheet. Brush top with butter; cut into 24 (2-inch) squares. Stack 2 squares, on an angle, to make 4 thicknesses; repeat with remaining phyllo sheets and butter. Press 1 stack into each of 36 miniature (1-1/2-inch) muffin cups. TOP each serving with 1/2 tsp. 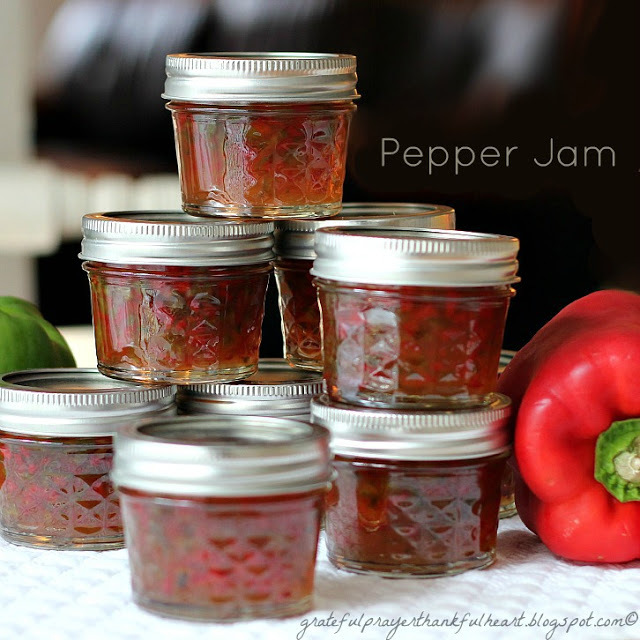 30 Minutes to Homemade SURE-JELL Hot Pepper Freezer Jelly. Wow, those look amazing! I've tried that recipe but using strawberry jam. I bet it's delicious with the pepper jam, which I've never had either! It just sounds like something I would enjoy! Hope you're having a good day. Okay…cooking/canning is not my favorite thing to do. But this looks awesome. I may have to try my hand at this! Thanks for sharing. This looks so delicious! I am hoping to do my first solo canning this year, and this is definitely on the agenda! Oh your pepper jam looks so yummy! Wish I could try it :)! Thank you for the excellent directions! Hope your day is gorgeous!! This jam does look good! I love spicy foods. I think I'll have to pin this one to Pinterest and maybe I'll try making some myself. Thank you for sharing. You do have the eye for food photography. Each photo make me want to rush out into the kitchen and cook. This one is no exception. I am finding out some of the blogs I was following were kicked off my list, yours was one, I have no idea why? But it makes me not want to take a break from blogging again as I am running into all sorts of unhappy surprises. This is a staple in my refrigerator. 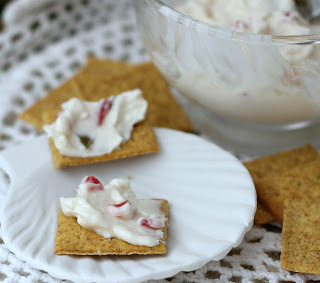 I think mixing it with cream cheese makes a delicious tasting appetizer. I never made it though and I appreciate that you shared the recipe. Thank you! This past weekend my daughter was here. She spread the pepper jelly on bread on one slice of bread, and a light touch of mayo on the other slice. She added sliced smoked turkey and cheese slices. It was a delicous sandwich! I can't wait to try the phyllo cup recipe. 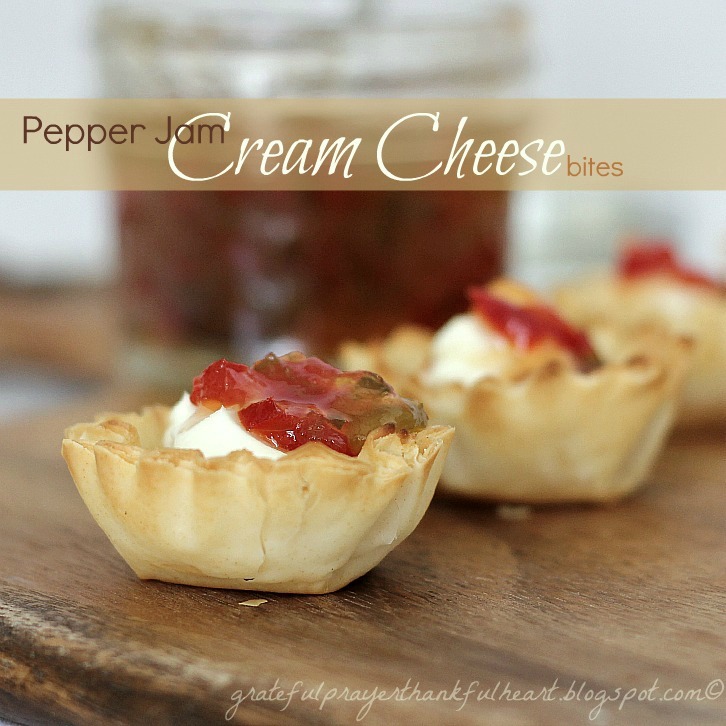 Ooooh, I love red pepper jam over cream cheese, but I've never made my own. 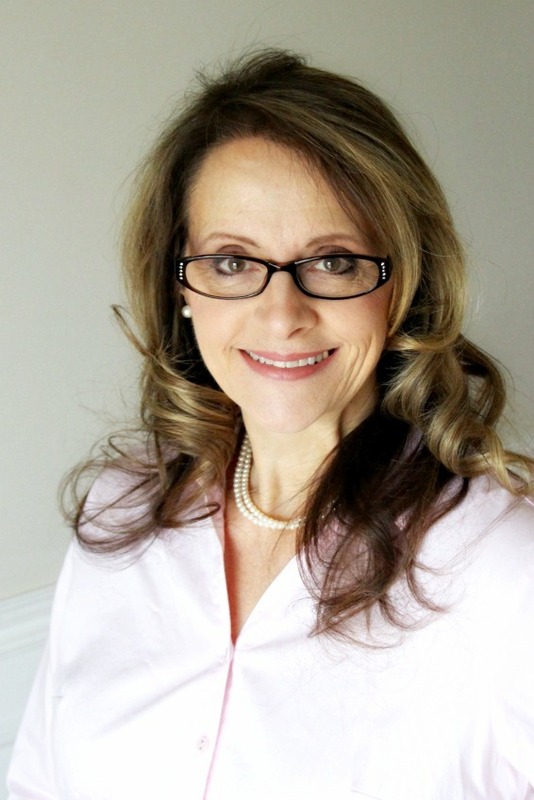 Thanks so much for a delicious looking recipe and your phyllo cups are perfect for it. Very yummy to have on hand for quickie snacks and drop-by company. Well, this looks delicious! I haven't heard of pepper jam but will certainly give it a try! Thanks for the wonderful instructions! Your jelly turned out beautifully. I know this would be so tasty! Thanks for the recipes and tips.